How big is 10 to the 20th? Here’s a great illustration from George Gamow’s classic book One Two Three… Infinity which shows two things: just how big really is, when thought of as a scaling factor; and also the power of a good illustration to drive home a point about math or science. 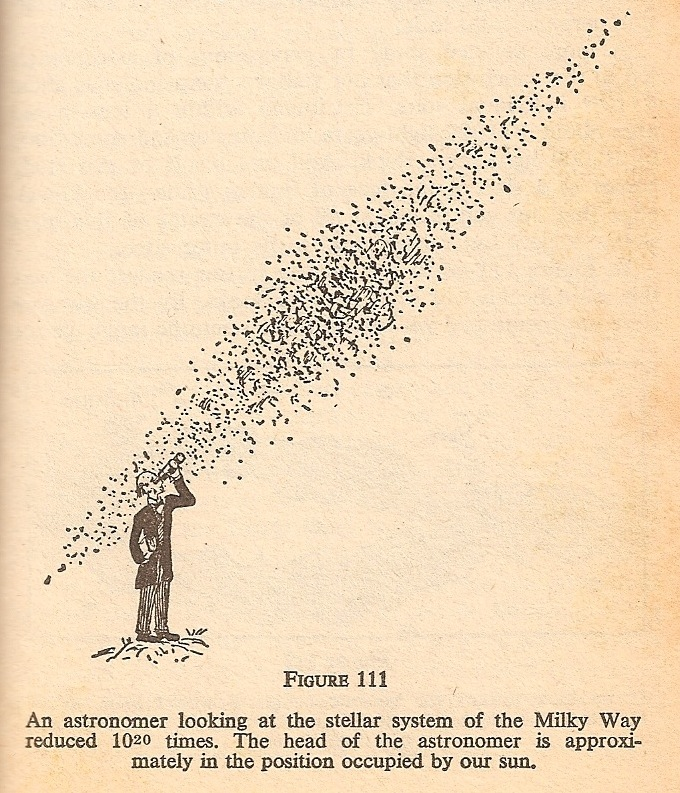 The picture shows a normal-sized astronomer observing the Milky Way galaxy when shrunk down by a factor of . That’s a big number, folks. Gamow’s book is one of several on my summer reading list, and there’s a reason it’s a classic. In particular, it’s chock full of cool illustrations like this that convey more information about a science concept than an hour’s worth of lecturing.